Discussion in 'Useful Development Tools' started by Reapergurl, Jan 12, 2017. So, after I had it out with my software using this script by @Jono99 in correlation with this script by @Lone Wolf, I figured out a few things about software I already had installed long beforehand, and here I am to share my knowledge with you, just in case I'm not the only one who uses Logitech controllers, like the Dual Action (which you can see looks a lot like a PlayStation 2 Dual Shock controller. 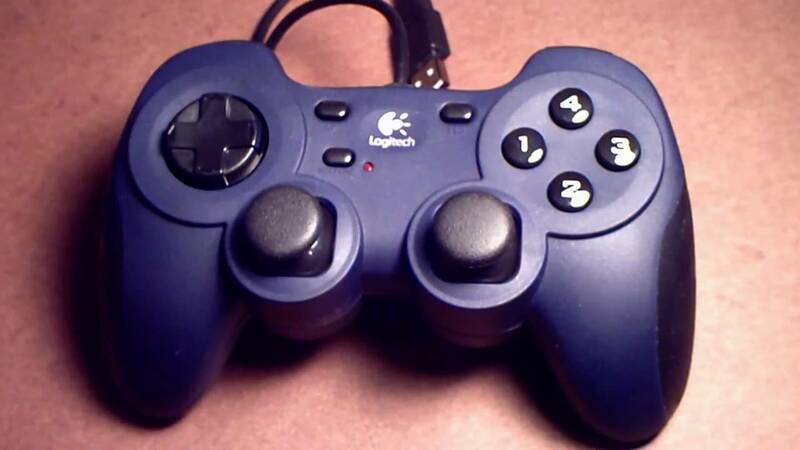 Alright, I have this software for my controller, it is called Logitech Wingman (yes, it does appear to be used for joysticks and flight yokes but it does work for the Dual Action). With Wingman, one can map all applicable controller buttons to basically any functions, and if one has thumbsticks like mine does, you can assign the axes to other functions as well. Getting to the point, I found out that Logitech Wingman had been overriding the functions provided by the scripts I had mentioned before. That being said, I can easily use Wingman to do the same thing. I have, in fact done so. So, fellow gamers, testers, creators and those who fall under more than one of those categories, don't despair! Don't throw a tantrum and break your controller! If you have the software necessary, use it! It might be a pain to figure out, but don't we all have to figure it out to begin with? Trial and Error, my dear friends. Well, if this helped, no need to thank me. Just get to gaming already! Actually, I think I'll give out a few pointers. If you decide to change the keyboard key controls (the interface does allow this as far as I know), for example if you change what functions as 'C' or confirm, you must change the controller mapping accordingly. The keyboard default for Button 'C'/Confirm is Z, Spacebar, or Enter/Return. If you choose to change this, to any of the fifteen available controls, you must re map the controller. Yes, using this method, one can easily map the debug button (default F9) to the controller, in my case, it would be Button 12 on my Dual Action (or if you're familiar with a PS2 and later generation controller it would be R3 - the right thumbstick button). Oh, yes, one thing to note is that whenever you start the profile for the game itself, unless there is a game.exe in the system folder, you'll have to create a profile for each game because otherwise you'll have a hotlink to only one of your games (however, if you start any of the games normally, you'll likely find that the one profile will work across all). Oh, how to map the Start button for Pause? Button 10 is where one would normally find the Start Button cosmetically, so map Button B/Cancel to Button 10. Yes, it will also act as the cancel button, but that's just how it is. Of course, if one wanted, you could use the scripts above with this method and have Start be pause, but it may cause complications. @Reapergurl Game Mechanics is for systems/mechanics of the game itself, not things which are mechanical. Moving this to Useful Development Tools. @Kes Thanks for helping with that.